Yates, Robert (1738-1801) Politician, Judge: Robert Yates was born in Schenectady, New York, on January 27, 1738. After studying law, he set up a practice in Albany, New York, and was known as a competent, though not quite brilliant lawyer. An enthusiastic patriot, he served in the Committee of Safety. In 1777, he was a justice of the New York State Supreme Court, and was Chief Justice of that court in the 1790s. After the Revolutionary War, he joined his friend, George Clinton, in promoting states' rights. An Anti-Federalist at the 1787 Constitutional Convention, he fought against Hamilton within the New York delegation, and left the convention before the adjournment, refusing to sign the finalized Constitution. Once the US Constitution was ratified, however, he accepted defeat; and drifted away from his Anti-Federalist ally, Clinton. He ran for Governor of New York twice: once to Clinton (1789) , and once to John Jay (1795). 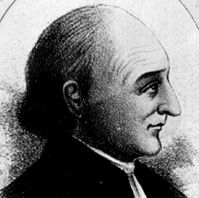 Yates died on September 9, 1801, in Albany, New York. His notes on the Constitutional Convention were kept and published 20 years after his death.